© Photo: Jan Haug, Det kongelige hoff (The Royal Court). 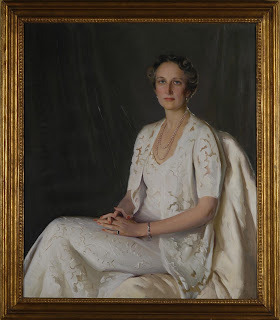 The portrait of Crown Princess Märtha of Norway (1901–1954) has been a part of The Royal Collections in Oslo, Norway ever since World War II. Unfortunately the portrait was both unsigned and undated. And as the years went by, the few people who knew the history of the painting, were not at the court any longer. Apparently any sort of documentation of its history, for instance correspondence or other paper work, was missing. Until last weekend the identity of the painter of the portrait, which for many years has been hanging in Den gule salong (The Yellow Parlour) at the Royal Palace in Oslo, has been a mystery. A new art book helped to solve the puzzle. © Photo: Jan Haug, Det kongelige hoff (The Royal Court). 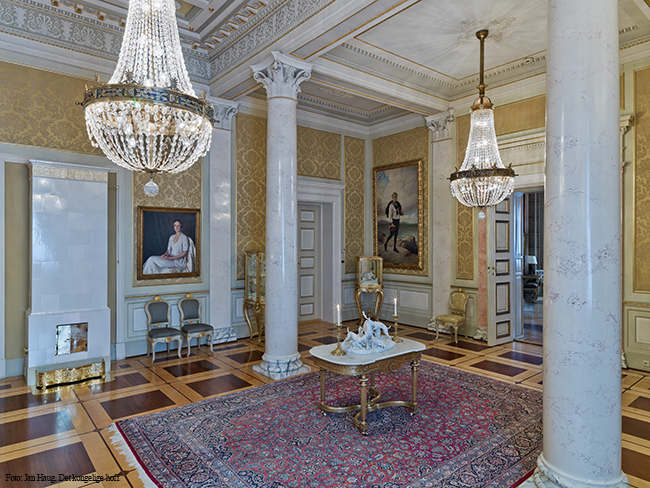 The Yellow Parlour at the Royal Palace in Oslo. The Crown Princess portrait can be seen in the background. But before I tell the story on how the painter was identified, I would like to cross the Atlantic for a while to tell part of the story from the painter's perspective. Or rather, I should start in Horten, Norway. 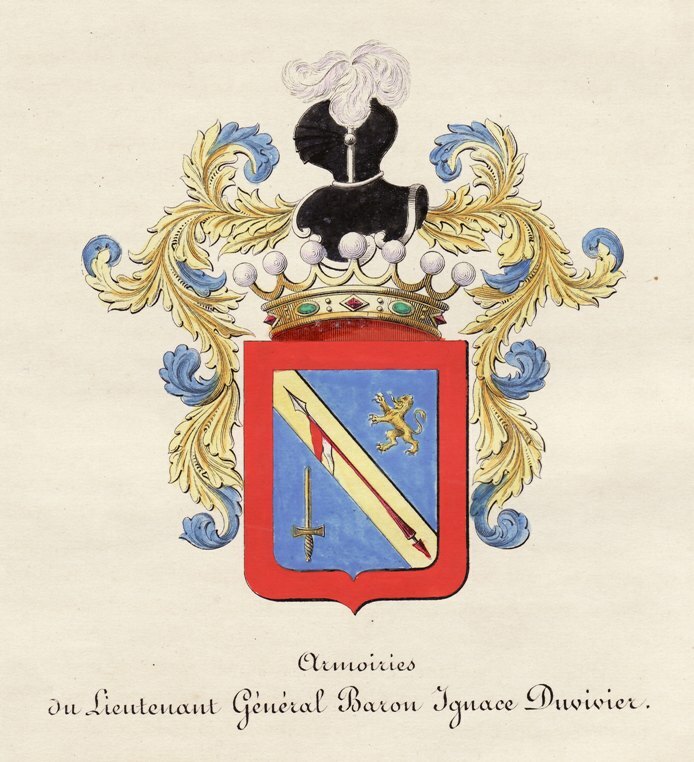 Because that is the little town where Herbjørn Peter Egeli was born on 15 November 1900 as the eldest of three sons of Even Egeli (1874–1915) and Josefine Mathilde Wennerstrøm (1875–1921). Even Egeli was at the time underkanonér (assistant gunner) at Karljohansvern (naval base), but later took his family to Kristiania (later named Oslo) where Herbjørn went to school at Vålerenga. Besides school, he took art classes and wood-carving taught by his uncle Herman Ekeli (1885–1946). The spelling of the family name – Egeli or Ekeli – has varied in the different branches, I should add. As the story goes in the Egeli family, Herbjørn once sat model for the sculptor Gustav Vigeland (1869–1943). The Vigeland Museum in Oslo has not found any evidence of this, however, as pointed out in a letter to me back in November 2003, and thought it was most likely a family myth, but could not rule it out completely. True or not, Herbjørn descended from an artistic family. 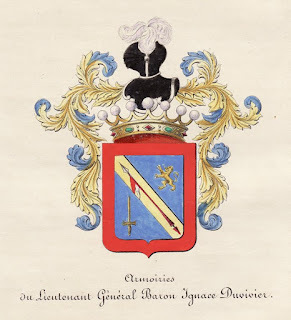 As I have written in this blog before, Herbjørn's father was born in Kristiansand, but the Egeli family originally came from the cotter's farm Øykjeli at Haukeli in Vinje, Telemark, where Herbjørn's great-great-grandfather Svein Olsen Egeli (1779–1853) settled around 1826. The Egeli family were well-known for their artistic skills. Bjorn Egeli's great-great-uncle Tor Sveinsen (1825–1882) was a recognized rosepainter in Telemark before he together with his family as well as 2 brothers and also his widowed mother emigrated to Wisconsin, USA in 1861. Tor's father Svein Olsen Egeli and brother Even (1822–1873) were both skilled ski carpenters. After Even Sveinsen's death two of his children – Svein and Hæge – and eventually also his widow Liv Tollevsdatter (1824–1905) – emigrated to the United States, leaving behind the eldest son Herbjørn Evensen Egeli (1848–1893). Herbjørn, who served in Kristiansand as an (non-commissioned) officer and later settled down as a fireman, was Herbjørn's grandfather. Anyway, when his dad Even died in 1915, Herbjørn went to sea, and after seven years he went on shore in the United States to enter Brooklyn School of Art in New York. After another period at sea, he continued his education at the Corcoran School of Art in Washington, D.C. He later became a well-known portrait painter (but also painted many maritime subjects) and painted portraits of among others President Dwight D. Eisenhower and President Richard M. Nixon. Herbjørn, who in the States went by the name Bjorn, bought the Glebe Farm in Valley Lee, St. Mary's County, Maryland in 1942, died on 20 October 1984, nearly 84 years old. His five children Peter, Cedric, Bjorn James, Mary Lois and Carolyn all became professional artists. Also several grandchildren followed the same path. Bjorn Egeli's children knew that he had once painted a portrait of Crown Princess Märtha, but where it had ended up was a mystery to them, and they didn't know too many details about it either. When the American and Norwegian Egeli branches reconnected – one of Bjorn's first cousins, Torborg Hoelseth, née Ekeli (1924–1992), was the grandmother to yours sincerely, and I traced Peter and his family in 1997 – I was asked by Peter if I could try to locate the portrait on this side of the pond. In early 1998 I wrote to the Royal Palace about it, but the court had no knowledge on the matter. 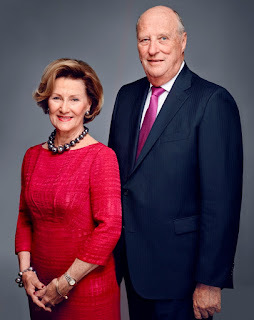 At the time I had the understanding that the portrait was of both (the then) Crown Prince Olav and Crown Princess Märtha, which was also what the Royal Court commented on. But at the time the court had no information which could lead to connecting the Crown Princess Märtha portrait to Bjorn Egeli. Peter and I had several discussions on where the portrait could have ended up. I remember I once suggested the famous Waldorf-Astoria Hotel, where Crown Princess Märtha stayed several times while visiting New York City during World War II, and which also had another Norwegian connection, as Jørgine (Georgia) Rolfsdatter Slettede from Bøverdalen (1887–1971) got married to the hotel director and owner Lucius Boomer (1878–1947) and later became the hotel's co-owner and also continued to manage the hotel even after Hilton took over. I never got as far as to contact the hotel to ask if the portrait was there, though. Now it is on due time to turn back to Oslo again! The Royal Palace houses a number of collections, including paintings, sculptures and silver objects. 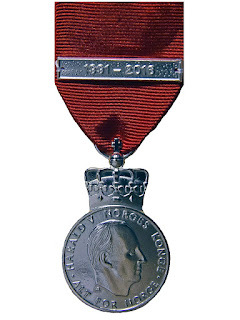 There is an ongoing effort to catalogue and document the items in these collections, as explained at the Royal Court's website.. One of the people responsible for this task is the art historian Ingeborg Anna Lønning, who is head of The Royal Collections, a section under the Department of Royal Estates and Culture. She has been working at the Royal Palace since 2002, and is the one who solved the mystery of the unknown painter. All thanks to a wonderful art book which was published in 2015. The Art of Diplomacy. The Art Collection of the Ministries of Foreign Affairs (Oslo: Forlaget Press, ISBN 9788275477185) was written by the art historian Kathrine Lund in 2015. There is also a Norwegian edition, Diplomatiets kunst. Utenriksdepartementets samling (Oslo: Forlaget Press, ISBN 9788275477185). The book's photographer is Guri Dahl. Kathrine Lund works as a senior advisor at the Ministry of Foreign Affairs and was from 2001 to 2012 responsible for the ministry's art collection. As the book title suggests, the book presents a selection of artworks owned by the Norwegian Ministry of Foreign Affairs and housed in the foreign missions, ambassador residences and in the ministry at Victoria terasse in Oslo. The reader will find many great photos and presentations of artists like Johan Fredrik Eckersberg, Amaldus Nielsen, Edvard Munch, Brynjulf Strandenæs (who made portraits of King Haakon VII and Queen Maud) and many, many others. I might come back to the book another time, as it certainly deserves to be thoroughly presented and reviewed. The book is not on general sale, as it is first of all meant for the ministry's relations and as a documentation of what the ministry has in its collections. Nevertheless, at least one copy of the book ended up at the Royal Palace, and was studied and enjoyed by Ingeborg Lønning. On page 104 and 105 a portrait of Ambassador Wilhelm Thorleif von Munthe af Morgenstierne (1887–1963) was described and pictured. The portrait, which was made in 1956 by the aforementioned Norwegian-American artist Bjorn Egeli, is displayed in the Norwegian embassy in Washington, DC. Morgenstierne was among others Norway's Consul General to New York City and later minister plenipotentiary and ambassador in Washington, DC. In the very same room where the Morgenstierne portrait is displayed, a portrait of George C. Marshall, who was among other things USA's secretary of state 1946–49, can also be viewed. The portrait is made by Bjorn's son Peter. I visited the embassy to see the portraits during my first visit to the United States in September 1999. But back to Lønning again! She made a note of, as she has told me by e-mail earlier this week, Bjorn Egeli's portrait of Ambassador Morgenstierne published in the said book, and started to search for information about the artist on the Internet. She learned among others that Peter Egeli fairly recently had published a book about his father. She thought that the photographs of Egeli's portraits showed similarities to the portrait of Crown Prince Märtha displayed at the Royal Palace. She also made a point of the fact that Crown Princess Märtha and her children during WW2 lived in exile at Pook's Hill at Bethesda in Maryland outside Washington, D.C. and was part of the same social circles as Ambassador Morgenstierne. In addition, Bjorn Egeli lived in the Washington, D.C. area during the war and also came from Norway originally. All this strengthened Lønning's newborn theory that he could be the painter of the Crown Princess Märtha portrait. She contacted Peter Egeli, who immediately recognized the portrait as being made by his father, although he had never seen it before. Peter Egeli, who has a large collection of photos of his father's portraits, studied with his father to become an artist and knows the style of his paintings well. He maintained that the Crown Princess portrait showed a classic Bjorn Egeli pose as well as details to colour, figure and lighting. The mystery of the unknown painter has finally been solved! And the Egeli family finally got to know where the portrait is being displayed! My gratitude goes to Ingeborg Anna Lønning, Jan Haug and Sven Gj. Gjeruldsen at the Royal Court for giving background information and permission to publish the photos. Many thanks also to Kathrine Lund for giving information about and also a copy of her book! The portrait is measured at 105,5 cm (width) x 102, 5 cm (height). Oil on cancas. Unsigned. Inventory number DKS.S01271. The portrait has earlier been on display at the Crown Princely estate at Skaugum in Asker, but the court does not know when it was transferred to the Royal Palace. It was probably not at the Palace in the 1970s as it was not mentioned in Kavli/Hjelde's book Slottet i Oslo. 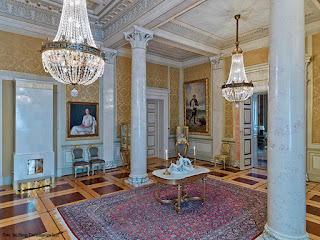 The portrait was hanging on on the same place (in The Yellow Parlour) when Lønning took her position at the Palace in 2002. Last time updated on Sunday 24 January 2016 at 14.30 (postscript added). © Photo: Jørgen Gomnæs / Det kongelige hoff (The Royal Court). Today, 17 January 2016, it is 25 years since King Olav V of Norway died and his son Harald succeeded to the throne. 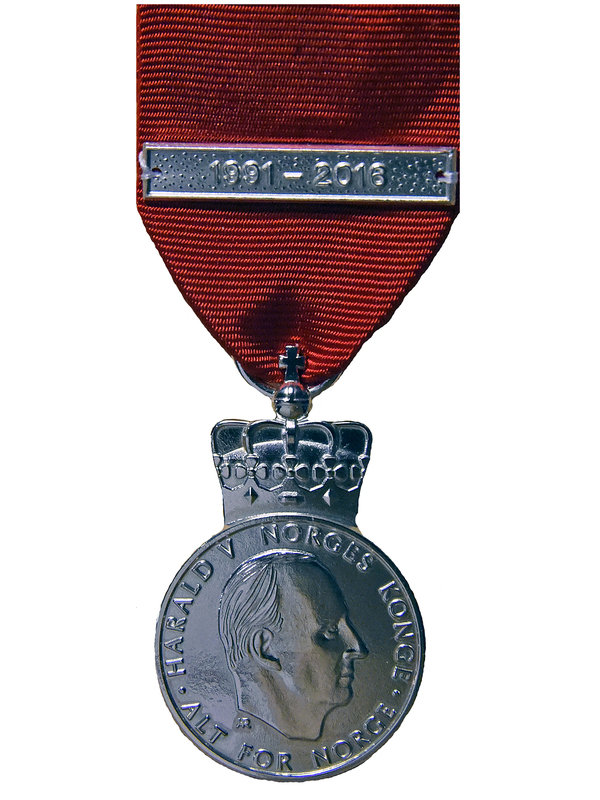 The anniversary has been marked during the weekend with several events. There was no Council of State on Friday. Instead, Their Majesties received deputations at the Royal Palace. Among the representatives of the offical Norway attending in order to congratulate the king and queen were Prime Minister Erna Solberg on behalf of the Government, Secretary to the Government Nina Frisak (who is to retire in July 2016) on behalf of the PMO and the public administration, Vice President of the Storting (Parliament) Marit Nybakk, President of the Supreme Court of Justice Tore Schei (who is also going to retire this year) and Jørn Are Gaski on behalf of Sametinget (the Sami Parliament). The Chief of Defence, Admiral Haakon Bruun-Hanssen, conveyed his congratulations on behalf of the Military Services and County Governor of Buskerud Helen Bjørnøy on behalf of all the county governors. The diplomatic corps was represented by Argentina's Ambasador, H.E. Juan Manuel Ortiz de Rosas. Bishop Helga Haugland Byfuglien, who is praeses of the Norwegian Bishops' Conference, represented the Church of Norway, while the chairman of the Islamic Council of Norway, Ghulam Abbas, conveyed his congratulations on behalf of the Islamic society of Norway. Among others coming to the Palace on Friday were Oslo's mayor Marianne Borgen and chairman of Kommunenes Sentralforbund (Norwegian Association of Local and Regional Authorities), Gunn Marit Helgesen. Carl-Christian Ferner, Anna-Stina Slattum Ferner, Carl Christian Dahl, Ian Swanstrøm, Dag Swanstrøm, Anne Karine Swanstrøm, Christian Fredrik Lorentzen, Sophia Lorentzen, Olav Alexander Lorentzen, Victoria Ragna Lorentzen Ribeiro, Felipe Falcao, Madeleine Ferner Johansen, Sebastian Ferner Johansen, Stella Ferner, Edward Ferner, Benjamin Ferner Beckmann. Ribeiro, Paulo Ribeiro, Martha Lorentzen, Haakon Lorentzen, Cathrine Ferner, Johansen, Arild Johansen, Margrét Gudmuindsdottitr Ferner, Alexander Ferner, Benedikte Ferner, Aage Hvinden, Elisabeth Ferner, Anders Leegård, Karl Otto Haraldsen, Lene Haraldsen, Ari Behn, Princess Märtha Louise, Queen Silvia of Sweden, King Carl Gustaf of Sweden, Queen Sonja, King Harald, Queen Margrethe of Danmark, Crown Prince Haakon, Crown Princess Mette-Marit, Princess Astrid Mr. Ferner, Erling Lorentzen, Ebba Løvenskiold (latter's new partner), Marit Tjessem, Magnar Fjeldvær, Emma Tallulah Behn, Leah Isadora Behn, Maud Angelica Behn, Princess Ingrid Alexandra and Prince Sverre Magnus. The anniversary day was opened with a service in the Palace Chapel, where the members of the royal family, other family members, King Carl Gustaf and Queen Silvia of Sweden, Queen Margrethe of Denmark and representatives of the official Norway were in attendance. Bishop Helga Haugland Byfuglien presided. Afterwards the royals walked out to the Palace Square to watch (and some of the also took part in) the various winter activities taking place there, which included skiing, snowboarding, ski jumping, ice slading and biathlon with laser rifles. I spent a few minutes at the Palace Square and was impressed with how many people who came along wither to participate or watch, considering how really cold it was outside. The many people made it difficult to spot the royals, but at least I saw the queen before I left. Later on the royal family appeared on the balcony, in addition to Princess Astrid Mrs. Ferner, Queen Margrethe and King Carl Gustaf and Queen Silvia, so I guess I left too early (but I had to leave due to a dinner with friends). There were also activities at the University Square and the Spikersuppa ice skating rink. Later the royal family attended a gala performance in the University Aula, followed by a private dinner at the Royal Palace in the evening.The gala performance was only for the royal family and invited guests, but the public could watch from a largre screen outside. The winter and other outdoor activities, including the performance gala, was the Norwegian Government's present to Their Majesties. I must say it was a wonderful way for the people to take part in the celebrations! When I visited Brussels in October last year, I came over a few litographies of coats of arms in a second-hand bookstore. 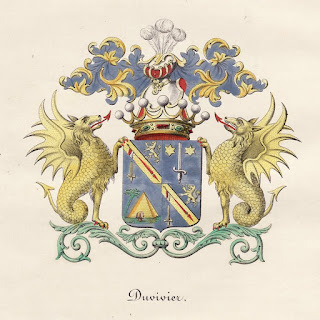 I decided to buy three of them, which shows the arms of the Belgian Duvivier family and two of its members. The litographies were made around 1860 and cost 20 Euro each. 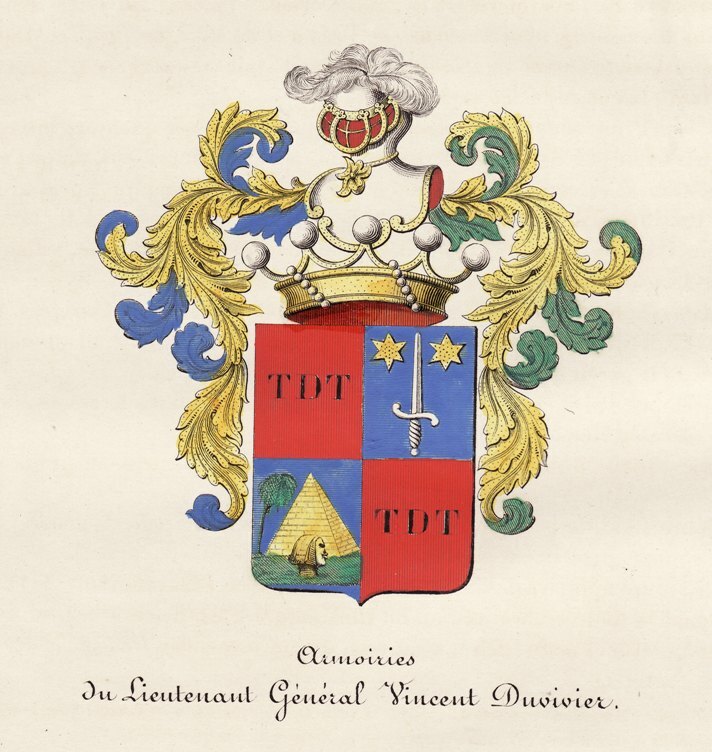 Arms of Lieutenant General Vincent Marie Duviver (1774–1851). Arms of Vincent's younger brother Lieutenant General Ignace Louis Duvivier (1777–1853). I don't know much about the said persons, but there is a Wikipedia article about Ignace Duvivier in French and Dutch. The article includes a photo of a memorial which I believe I saw during my visit to Mons (Bergen) in June 2000. A photo of the Duvivier arms can be viewed here. Not sure what I am going to do with the litographies, but they are quite nice. Maybe I should frame them and put them on the wall?